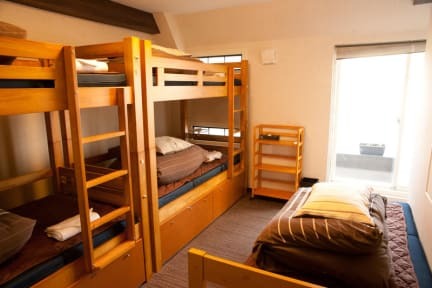 Quality Hostel K's House Tokyo Oasis i Tokyo, Japan : Boka nu! which has a calm and relaxed atmosphere. - All private rooms have a private bath, toilet and towel. - 3 minutes to sightseeing spot, Senso-ji, Asakusa area. - 1 minutes to super market, convenience store (24H open) and drug store. We wish to offer you high quality accommodation with affordable price private rooms as well as dorm beds with air conditioning and individual showers with hot water 24 hours a day. We also offer a guest kitchen , cozy lounge, internet access, laundry facilities (washing machine and dryer).Our staff speak English and will help you with any travel information you need. 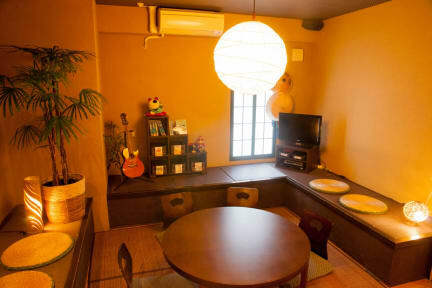 Since staring in Kyoto in 2003, K's House has opened hostels in popular travel destinations. Please visit these locations for your travel plans.